Ogden: Beginning of end for Ronaldo, Messi? Can Messi capitalise with Ronaldo out? Entering the final weekend of the Spanish league season, Cristiano Ronaldo is almost certain to finish ahead of Lionel Messi in goals scored. The Portuguese forward has a seven-goal lead over his Argentine counterpart and ESPN's projection model predicts that both will find the net on the final day of the campaign. Indeed, rather than being concerned about being caught by Messi, Ronaldo might have his eyes on Luis Suarez, who is currently the leading scorer in La Liga with 37 goals. Last season, Messi scored once against Granada. Ronaldo did not play against Deportivo. Ronaldo is set to win the pair's 2015-16 head-to-head scoring battle. Between them, Ronaldo and Messi have won the past six Pichichi trophies, given to the leading scorer in La Liga. We want your input! 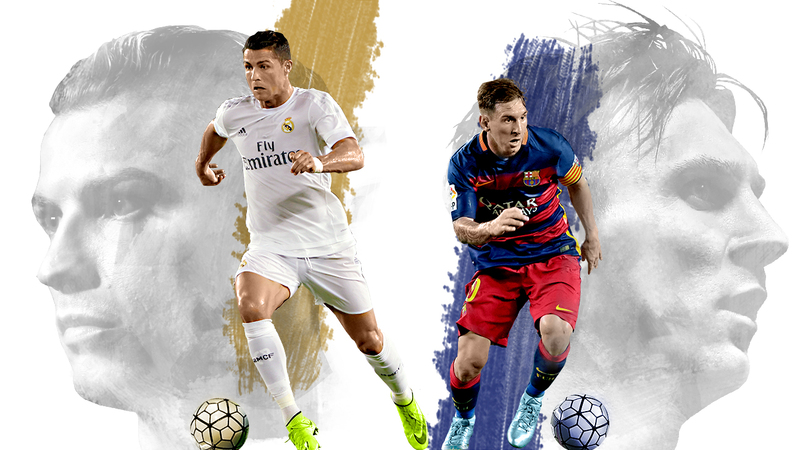 Vote and let us know who you think will score the most goals this season, using the hashtag #ESPNFCMessiRonaldo. Messi will still end the season with an impressive haul but Ronaldo, who has played three more games, is tipped for higher numbers. Messi has 312 career goals in La Liga. Ronaldo has 258. How does the projection model work? "These projections account for the historical performance [goals scored and minutes played] of the two players since 2010, strength of opposing defences faced [measured by SPI defensive rating], game location and the potential for injury or missing games. Based on these inputs, the predictor will estimate the chance of each player scoring any number of goals for each remaining game. From this, we can project the total number of goals scored, hat tricks and the chance of each player accruing more goals than the other over the course of the entire Liga season."